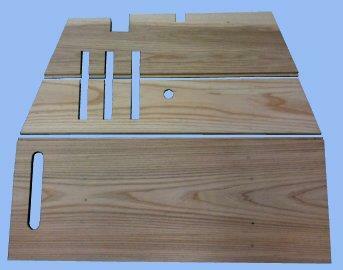 This set consists of the #1 and #2 boards (which contain the pedal openings), and the #3 floor board (which is the main floor board). This set is used with the earlier style dash shield (prior to 1919). The #1 floor board has a rectangular notch to clear the head bolt hole and does not have a slot for the speedometer cable.